Fans of The Mortal Instruments and The Infernal Devices know that Magnus Bane is banned from Peru, and now they can find out why. One of ten adventures in The Bane Chronicles. There are good reasons Peru is off limits to Magnus Bane. Follow Magnus’s Peruvian escapades as he drags his fellow warlocks Ragnor Fell and Catarina Loss into trouble, learns several instruments, dances, and disgraces his host nation by doing something unspeakable to the Nazca Lines. Magnus Bane was banned from Peru by the High Council of Peruvian warlocks. For the flamboyant, handsome warlock, Peru was one of his favourite destinations. Reminiscing, it may have been one of several incidents that have caused him to be ostracized, spanning almost two centuries before the secret meeting to determine his fate. This is the story of Magnus Bane. When Magnus called old friend Ragnor to join him in Lima, the City of Kings, he never expected that the hideously dressed, gloomy, green skinned warlock to be so grumpy as the two set out on an adventure. When Edmund Garcia, one of the richest merchants in Peru propositions the services of Magnus, he never imagined that the two warlocks would be asked to safeguard Peru's chief export, guano, bird droppings. But Magnus isn't to blame for Ragnor's tantrum on the high seas, sinking the boat with the precious cargo aboard. His wanton destruction of Peruvian property wasn't the reason he was banned from Peru. Decades on, Magnus, Ragnor and Caterina find themselves back in Peru, searching for hidden treasure with Nayaraq, a mere mortal. Magnus had begun putting a price on his magic before he was but twenty years old, but never did he imagine that the treasure hunt would leave him a wanted criminal for decimating a temple. But that wasn't the reason that Magnus was banned from Peru. After meeting the handsome young musician Imasu, Magnus decides to learn a new instrument in order to catch the young mortal's eye. He was discouraged from playing in public, by no less than a crying child, a city ordinance and a small riot. Sadly, the arrangement wasn't permanent, nor was the relationship. Leading to an alcohol fuelled rampage of epic proportions, enchanted flying carpets, decimating the Nazca Lines, and leading a guinea pig army after a medicinal ritual gone astray. But his night of drunken debauchery and crime was again, not the reason he was banned from Peru. Kitty is a con woman that has captured the attention of the handsome warlock, and flee together on a whim. Stealing, spending on booze and useless trinkets while spending but one summer falling in love. But his sudden crime wave was not the reason he was banned from Peru by the Peruvian warlock High Council. Then what really happened in Peru? 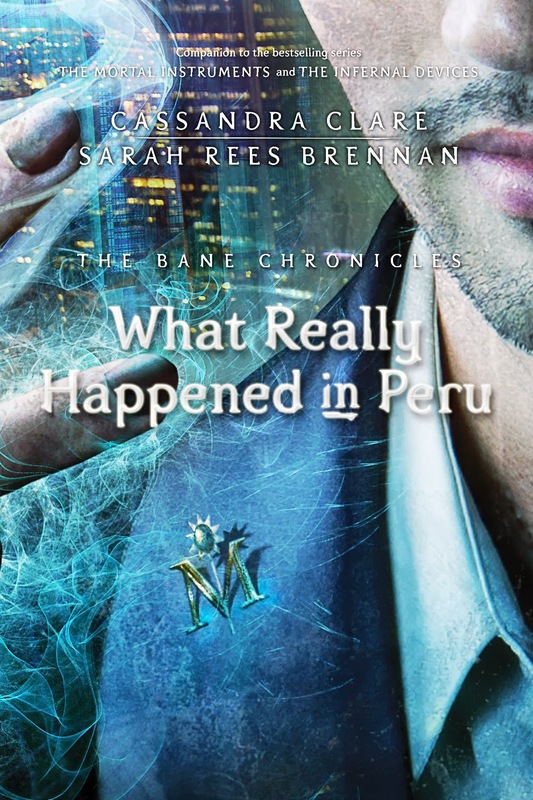 I loved Magnus Bane in Cassandra Clare's The Moral Instruments series, but unfortunately What Really Happened In Peru was not only incredibly dull, but borderline atrocious. The storyline spanned centuries, but delved into what he was wearing so often, that the actual memories were barely skimmed over. Fans of Magnus may enjoy his fleeting adventures, but it'll probably leave the general reading populous irritated at the few hours of their life that they've invested in this.